About Us Dr. Edward Jeffes, III M.D. Ph.D.
Dr. Edward Jeffes, III M.D. Ph.D.
Dr. Jeffes is the quintessential academic based dermatologist, who specializes in moles, melanoma, and challenging rashes. 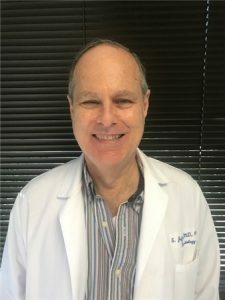 His extensive 30+ year background in psoriasis research ranks him as one of the top specialists in the U.S. for this condition. Dr. Jeffes spends a lot of one-on-one time with his patients. His patients love that they are never rushed, and he thoroughly explains their skin condition. Very good bedside manner. His nurse is nice, too. knowledgeable, professional and sensitive to the feelings of his patients. I couldn’t recommend him any more highly – he is a BIG CUT above many other doctors.